It has been a pretty great past several days at the Doll house. After sitting around all last long weekend waiting for a sod delivery that never came, we finally got our grass on Wednesday evening and were able to get the backyard all done Thursday afternoon. 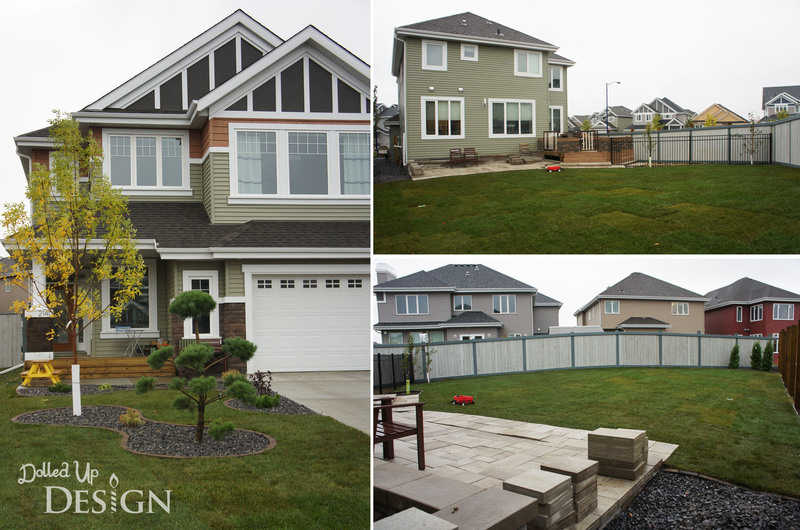 I love the grass and can’t tell you how happy I am to have the dirt covered up and finally feel like there is an end in sight to our summer long landscaping projects! 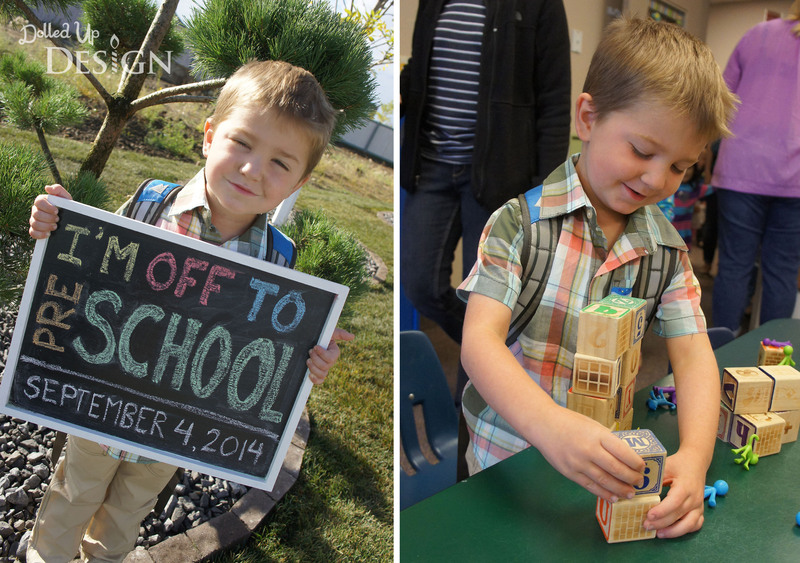 Thursday morning was also a big day for Camden as he got to go check out his preschool classroom and meet his teacher for the first time. He seems pretty excited to start school next week and was even a little disappointed that Keira and I were staying with him for his first day. Friday was my birthday. We celebrated with a low key lunch out at Red Robin (hello free birthday burger!) and a delicious cake my husband picked up locally from Wild Earth Bakery & Cafe. 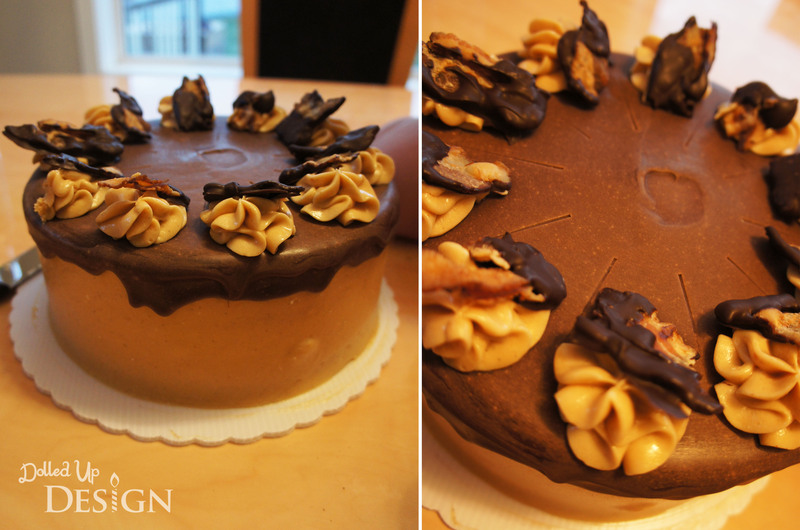 It was a delicious banana cake, coated in peanut butter buttercream with a covering of chocolate ganache. It was also adorned with chocolate covered bacon which we were a little unsure of, but my kids both can’t seem to get enough of. 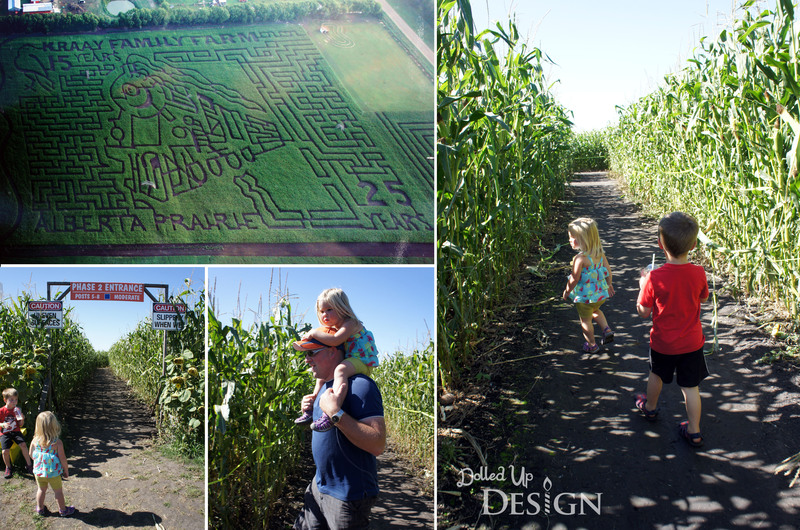 I have been trying for the last couple weekends to get my husband to step away from the landscaping/yardwork and accompany the kids and I to the Lacombe Corn Maze. After managing to get the sod laid Thursday and using my birthday as a bit of a manipulation tool, I convinced him to take the one hour drive south Saturday morning to visit the Kraay Family Farm and get lost in the maze. The weather was perfect and I was happy to get some quality family time in on what could be one of the last fleeting days of warm weather. 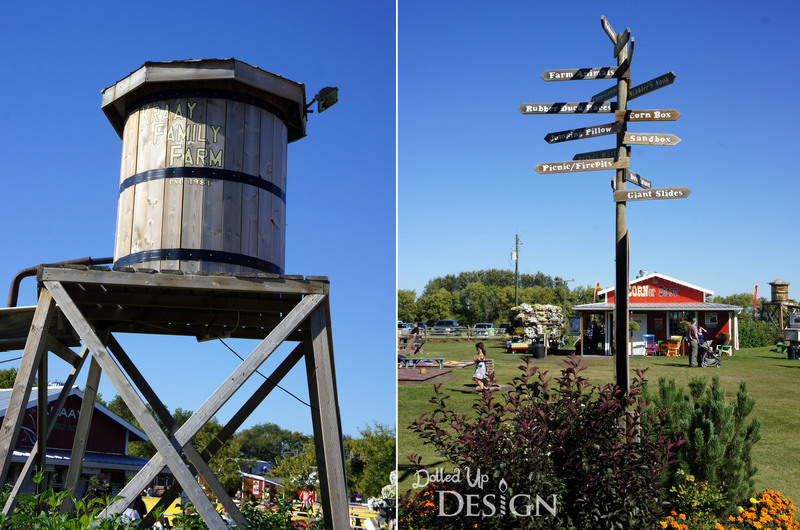 My husband and I had been to the corn maze several summers back and I was impressed to see how much has changed in the 10+ years since we first went. From what I remember, the main highlight was the corn mazes and there were only a few small attractions for the kids. Now, the corn maze seems to play second to all the playgrounds, games, rides, animals, and other kid centered attractions throughout the farm. 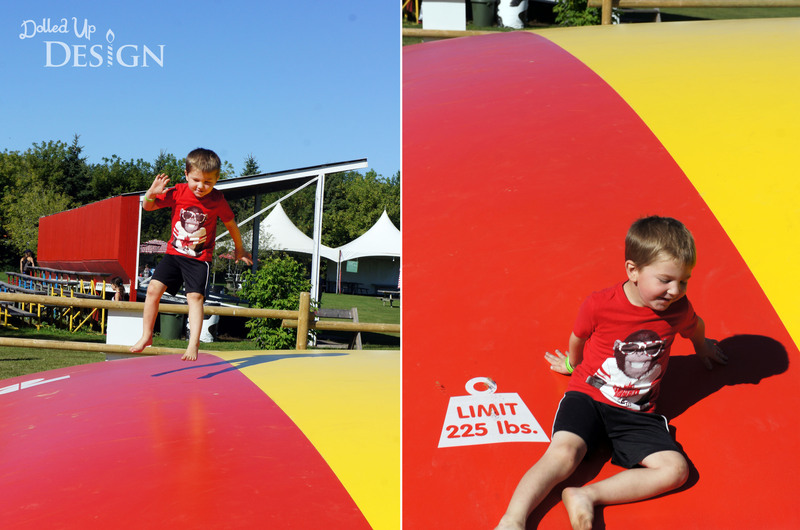 There was a lot to take in, but one of the first things Camden decided to try was the giant bouncing pillows just inside the gates. Camden had fun, but you do get bounced around pretty good if there are other jumpers nearby. Next up Keira led us towards the animals. There were ducks, chickens, pot bellied pigs, a miniature donkey and some goats. 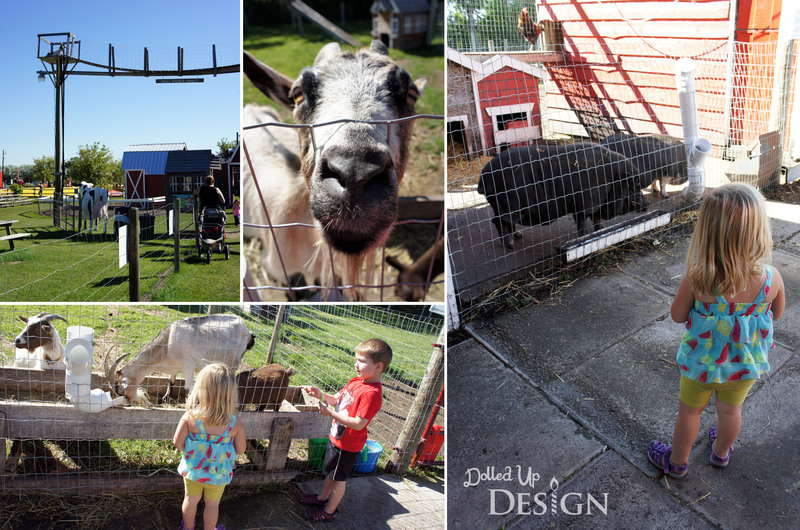 The goats have a nifty set of catwalks that go all over the animal pens and allow you to view the goats far up above your heads! 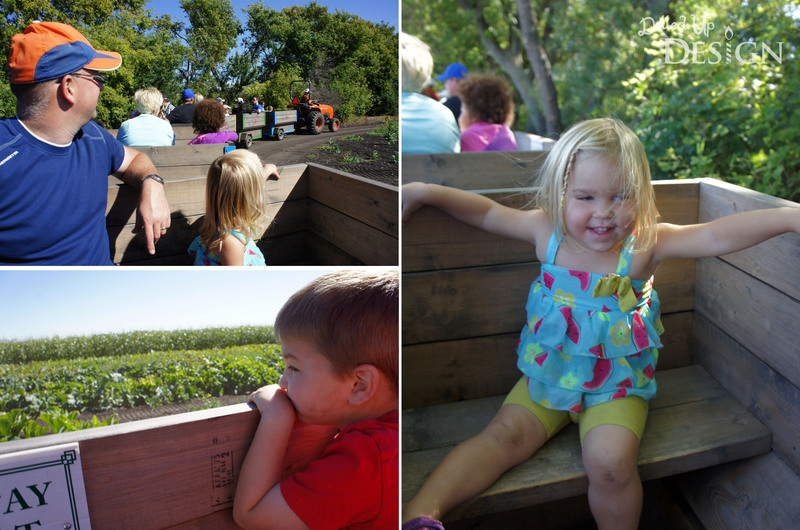 We then took a short tour around some of the farm in a tractor drawn wagon train. Camden was excited to point out the pumpkins turning orange in the pumpkin patch and Keira was just happy to go for a ride! On the drive down I was feeling a little bad about not having completed quite a few of our Summer Bucket List items, but we were able to check off a few from this outing. 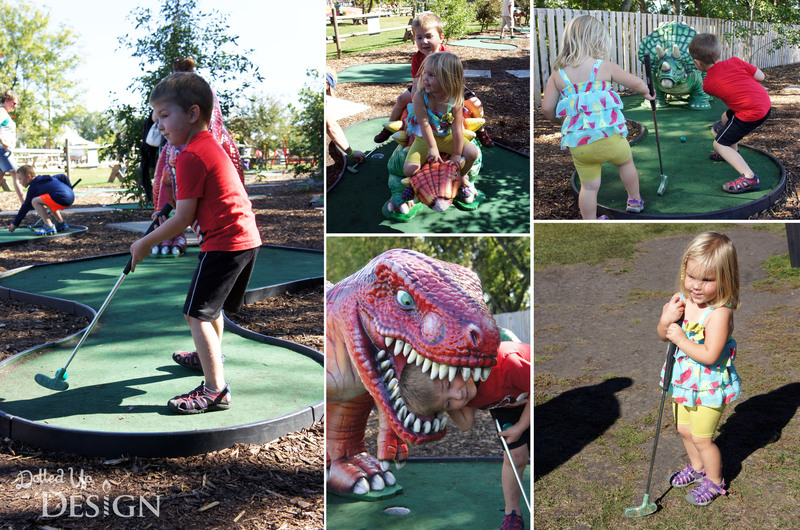 Mini golf was on our list, and the farm had a great dinosaur themed course that is included with price of admission. 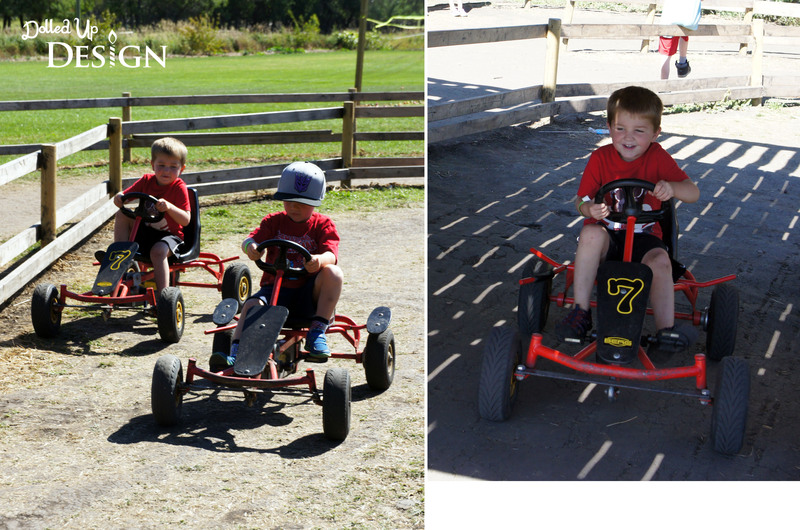 And while it isn’t quite go-karting, I am counting these pedal powered karts as going go-karting on our Bucket List. Camden was just big enough to be able to pedal them and was happy zooming past the other drivers as he made his way around the small track. 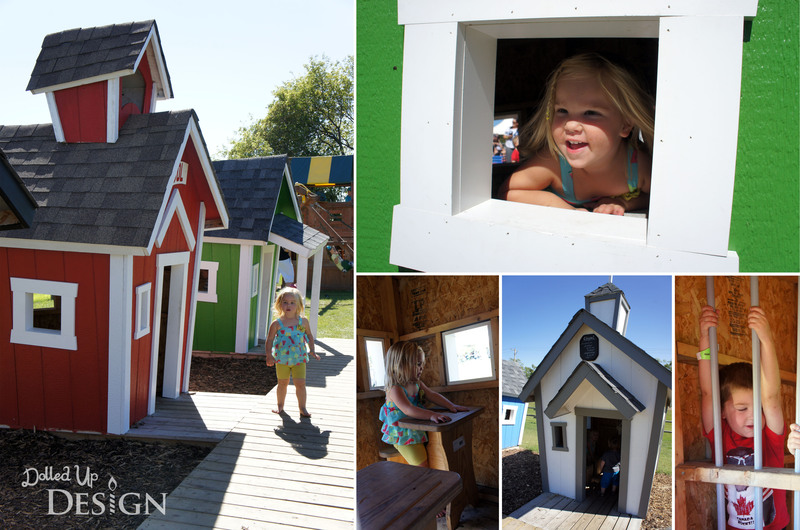 With slides, a tire horse merry-go-round, multiple play structures, a giant sandbox and unique crooked playhouses this is one of the best play areas we have been to all summer. There were no shortage of things to keep the kids busy and I am sure we could go back repeatedly and they would not be bored. We had a hard time prying them away to try some of the other activities we wanted to see! 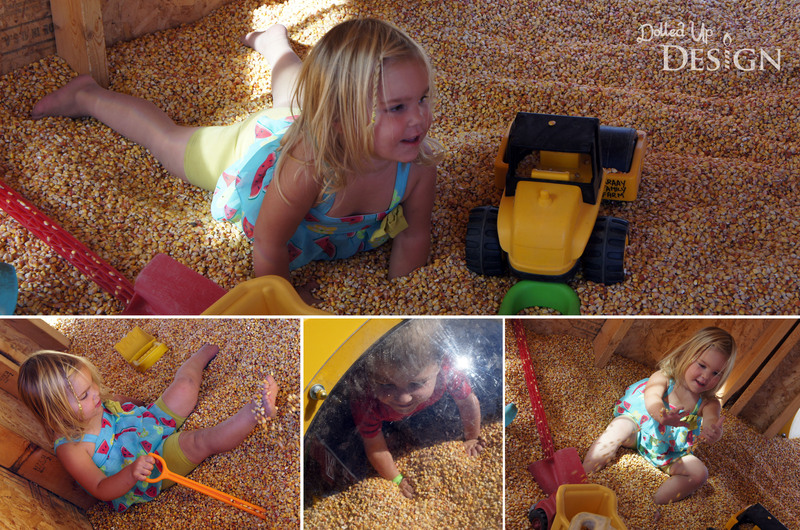 One activity I was surprised by how much Keira enjoyed was playing in a bin full of dried corn. I think she would have happily stayed there for hours rolling in it, digging her toes into it and running it through her hands. There was a giant sandbox just steps away, but she was far more interested in the corn. 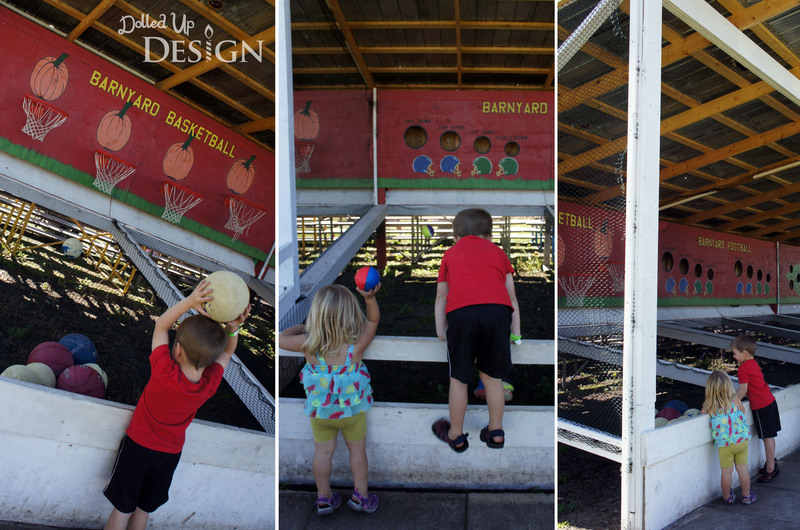 After a quick hot dog lunch, we made out way over to play a few games and get ready to watch one of the twice daily pig races. There are a couple concession stands throughout the farm as well of plenty of tables and seating if you wanted to bring in your own picnic lunch. The farm also rents out barbeques and there are tents available for special events such as birthday parties. The pig races were short, but cute. 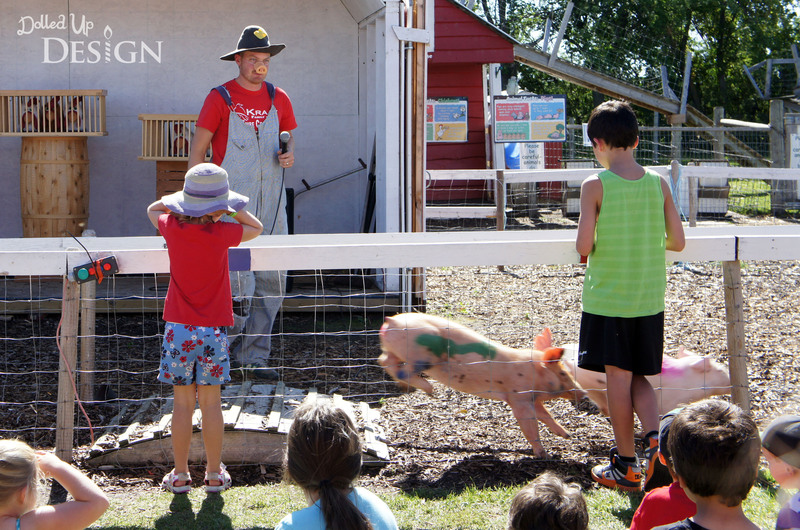 “Boss Hogg” did a good job commentating and getting the kids involved, and it was funny to see some of the pigs not too sure of where they should be running. Then, finally, we made our way through one of the three corn mazes. It was a lot of walking and both kids were getting pretty pooped by the end, but my husband did a good job of not leading us too astray. There are also clues and employees throughout the maze for those who might be completely directionally challenged! And we ended our trip to the farm with, what else, but ice cream!! 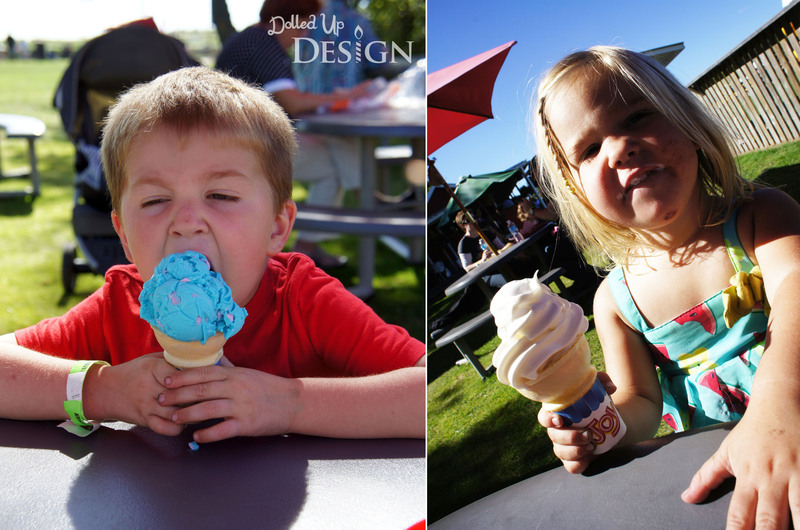 I think the kids would be more then happy if I built next summer’s bucket list solely on places we could go to enjoy ice cream. 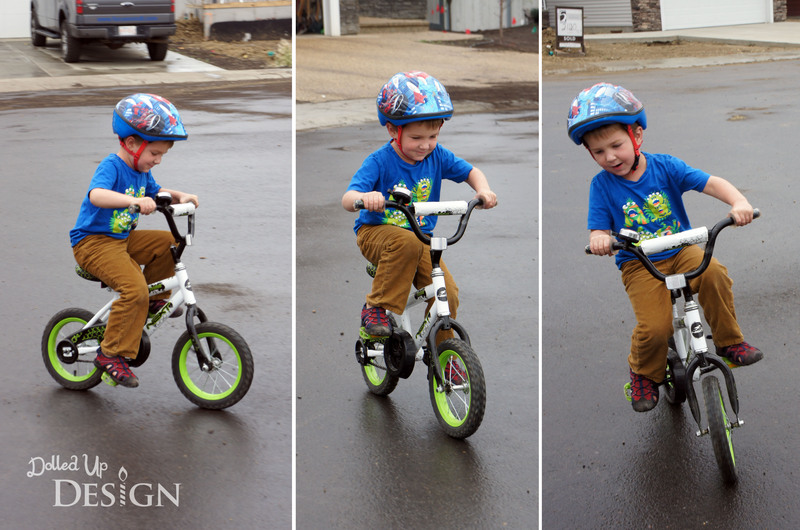 While relaxing with some drinks in the front yard, I watched how well Camden was doing riding his balance bike and decided to take the training wheels off his pedal bike to have him give it a try. I was expecting some wobbliness and failed attempts, but what he did blew both my husband and I away. With little more then a small push from my husband, my little guy took off pedalling his 2 wheeler like a pro. Within minutes he was going up curbs and riding in circles like it was old hat to him! I didn’t even have the video camera ready to catch the first try because there was no way I thought he would be able to do it that easily. I couldn’t be prouder of my little boy and can’t think of a more wonderful way to start off being 32. I am looking forward to more upcoming family adventures and am excited to watch as the kids continue to grow and surprise us in the year ahead. For more information on the Kraay Family Farm, be sure to check out their fantastic website or visit the Lacombe Corn Maze on Facebook. 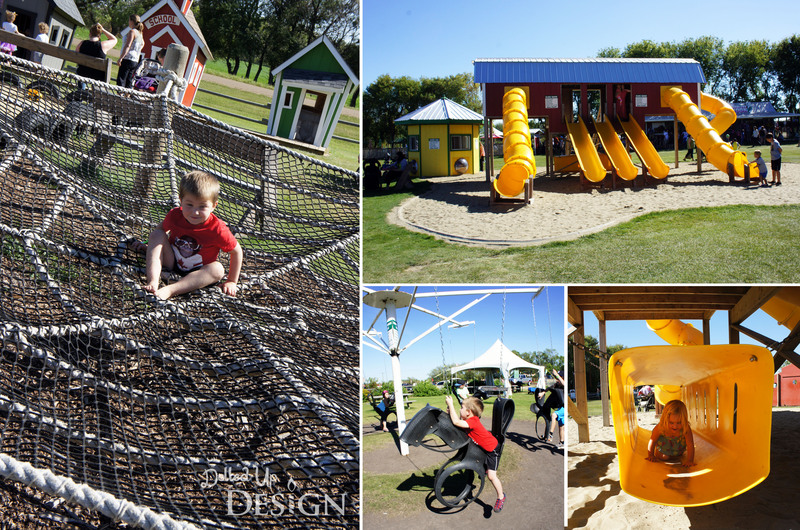 As you can see by my many photos, there is no shortage of things to do on the farm and I would highly recommend it for anyone looking for fun activities to do with their kids in and around Central Alberta.